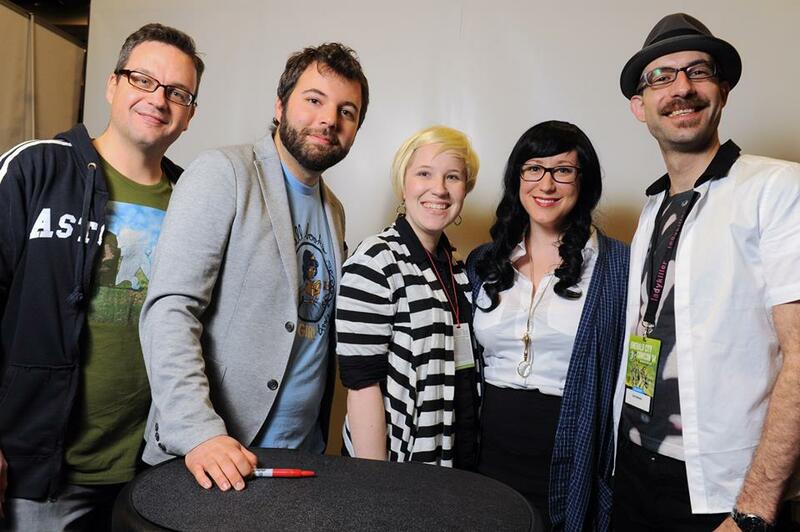 Better Late Than Never: Emerald City Comic Con 2014! I’ve been head over heels for all things science fiction/fantasy since I was a little kid. I regularly attend Doctor Who trivia at my local geeky bar, I have a quote from A Song of Ice and Fire tattooed across my left wrist, and I’ll happily talk you under the table about Star Trek and Sherlock Holmes and Firefly and Tolkien any day of the week given the slightest provocation. I wear my geekiness proudly on my sleeve, and I’m of an age where I’ve stopped being worried about people judging me because of it, simply because I no longer desire to expend the energy it takes to be bothered about it. I’ve been lucky enough to be able to enjoy a lot of amicable commingling between my life as a geek and my life as an editor. I’ve found that being really passionate about things that I enjoy has turned me into a much sharper and enthusiastic editor, and that doing what I do for a living has made me a more active and critical consumer of the media that I love. My geeky life and my professional life have been colliding in unexpected and especially wonderful ways lately. The weekend of March 28th through the 30th, for example, I attended Emerald City Comic Con in Seattle, Washington. I didn’t go in any professional capacity—I spent the weekend running around oo’ing and ahh’ing over all the amazing cosplays, attending tons of panels, and ogling the wares at the hundreds of vendor tables and exhibits with a group of fellow gleeful fanfolk—but I ended up having a ton of rewarding experiences over the course of the con that spoke to my identity as an editor, as well. Me (in my gender-swapped Sherlock Holmes cosplay, sadly without my riding crop and persian slipper stuffed with tobacco), a friend, and the Welcome to Night Vale Crew. Live long and prosper, etc. This entry was posted in Uncategorized and tagged Doctor Who, ECCC, editing, editor, Emerald City Comic Con, fantasy, geek, John Scalzi, nerd, science fiction, Seattle, Sherlock Holmes, Welcome to Night Vale, writing, YA, young adult. Bookmark the permalink.